As the world's most widely-used intelligence test for children, the WISC-V is useful in diagnosing intellectual disabilities and specific learning disabilities, as well as in identifying giftedness. In this volume, sample reports demonstrate how WISC-V assessment results may be linked to interventions, accommodations, modifications, and compensatory strategies that facilitate positive outcomes for children. 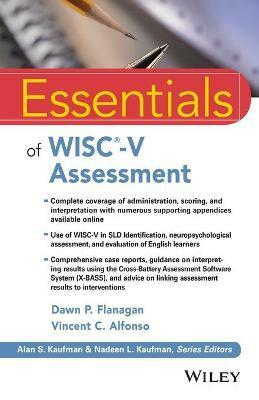 "Essentials of WISC-V Assessment" is the all-in-one practical resource for both students and practitioners. The book can be used on its own or with companion software (purchased separately) that provides a user-friendly tool for producing psychometrically and theoretically defensible interpretations of WISC-V performance, and may be used to develop interventions based on each child's strengths and weaknesses.